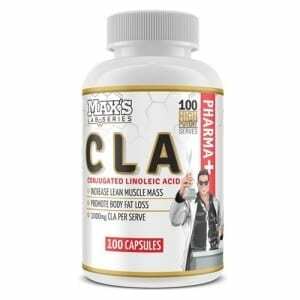 Get the clean bulk look with this super stack from Max’s! 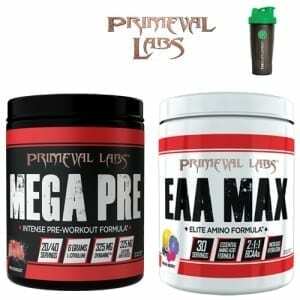 MAX’S Anabolic Night Slow Release formula is Australia best-selling night protein. 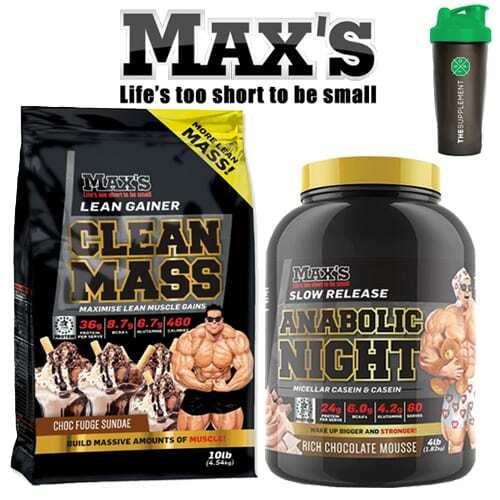 Max's Clean MASS Lean Gainer by Max Supplements provides the perfect carb to protein ratio to pack on lean muscle MASS! 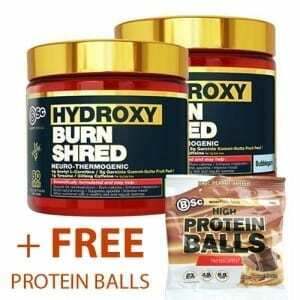 SAVE $7.90 if you buy the “MAX’S VALUE” Stack! 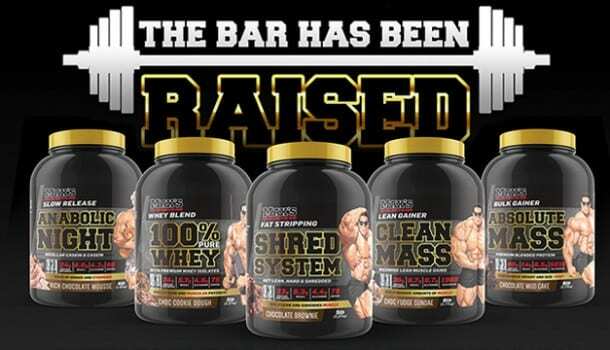 Love Max’s love this stack YES!!!!!!!!! !